The idea for REWIND came from watching the harvest: as you go through the season, all of the flowers grow, blossom, mature, then slowly fade into the next season, only to come back the following spring. But what if we watched it in reverse? Instead of fading into nothingness, we could watch the mature flowers go back to their peak of blossom. A passing thought, perhaps, watching the reversal of nature’s work, but it was in fact the inspiration for REWIND. REWIND was built on the premise of renewal, of turning back time. 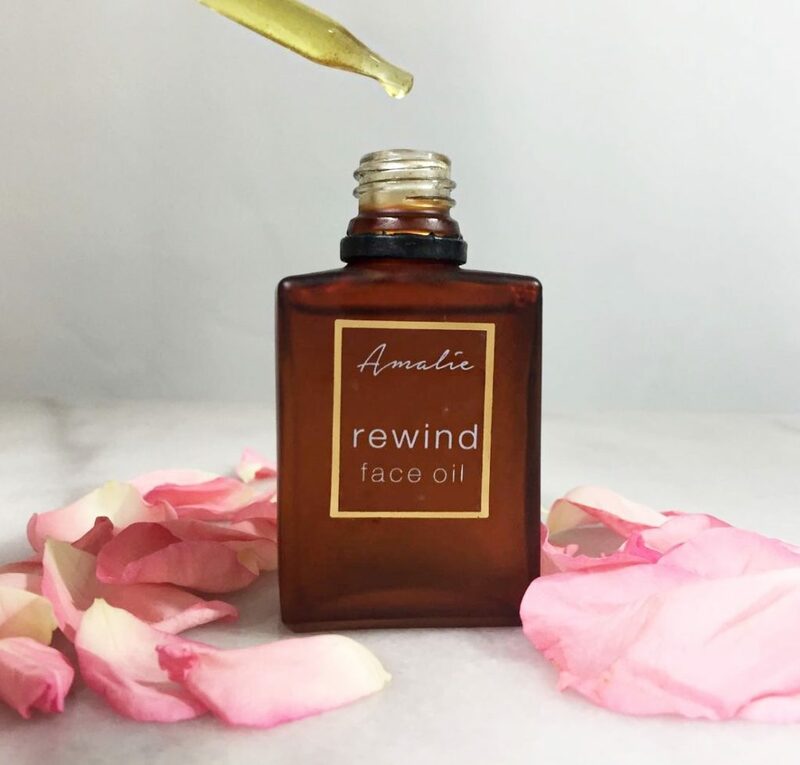 As a Farm to Face product, all of the herbs and flowers used in REWIND were grown by the Amalie team in Southern Indiana. The amount of REWIND that we’ll be able to create each year is particularly difficult to predict, because of the late – and often finicky – roses, which are central to the formulation. And although honeysuckle – the first and very important ingredient in the formula – grows like a weed (no pun intended), we only have so much honeysuckle on the Amalie farm in Indiana, and we can only harvest what we know and grow. As tempting as it is for me to stop and ransack every honeysuckle bush I see blossoming along the highway in early May, (and believe me, this May I was very tempted!) the truth is that I don’t know how or if the land was treated, and I refuse to use any ingredients in my products that could be compromised. So we use what we’ve got, and that can vary a lot. Anyway: we have about 250 units this year, and that’s all we can offer for the next 12 months. Next year we’ll try to kick it up another notch! Plus, it’s got a natural, sweet honeysuckle scent (which is a natural by-product of the extraction process, not added artificially) that makes the experience even more decadent as it slowly melts into your skin. Organic Jojoba (Simmondsia Chinensis) Oil, Organic Squalane (from organic olives), Organic Pomegranate (Punica Granatum) Oil, Organic Honeysuckle (Lonicera Japonica) Flower Extract, Organic Lavender (Lavandula Angustifolia) Flower Extract, Organic Sage (Salvia Sclarea) Leaf Extract, Organic Spearmint Extract, Organic Rose (Rosa Damascena) Extract. Last year I extracted everything with jojoba except for the Rose Damascena, which was extracted with Pomegranate Seed Oil. This year, I kicked up the formulation a notch by extracting 25% of the formulation with Squalane, a penetration enhancer. (This is vegan squalane by the way, extracted from olives, not sharks!). 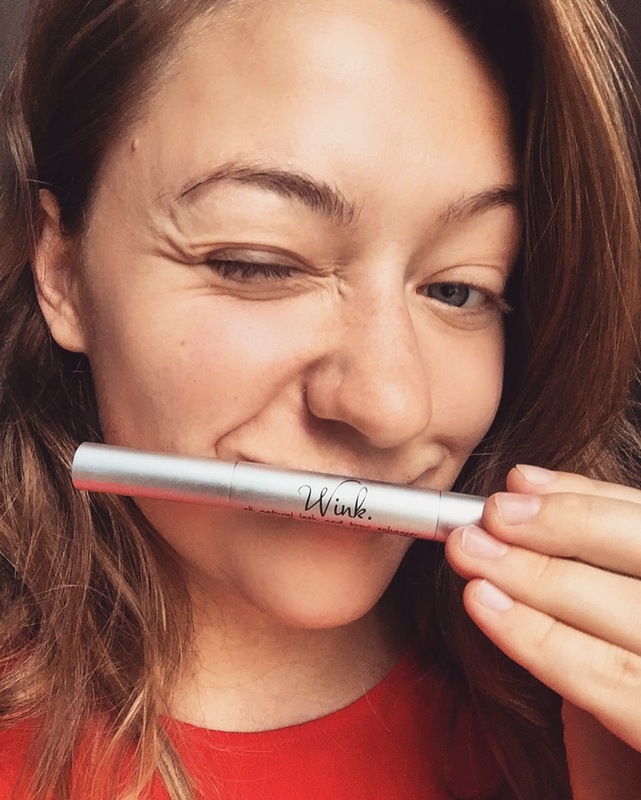 I’ve previously written about how amazing Squalane is, because I just discovered it last year, and as soon as I did, we began putting it into the WINK formula. 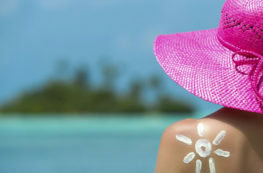 Squalane, an Omega-2 fatty acid, is anti-oxidant, immune stimulator, oxygen generator and fat/energy regulator that promotes cell growth, prevents UV damage, is non-irritating and could inactivate carcinogenic chemicals. But the most crazy awesome part of it all? Squalane can literally penetrate skin at a rate of 2mm/second (source). So, step aside Jojoba oil! Squalane is the fastest, best drug carrier nature has to provide. 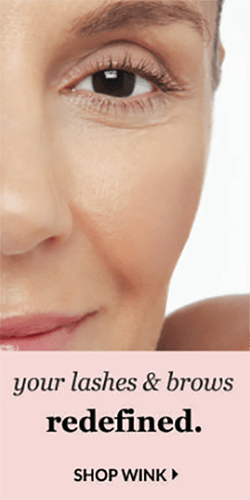 I chose to add squalane to the formulation to help the active ingredients penetrate deeper and faster into the skin, for better anti-aging results. What exactly is Squalane carrying? 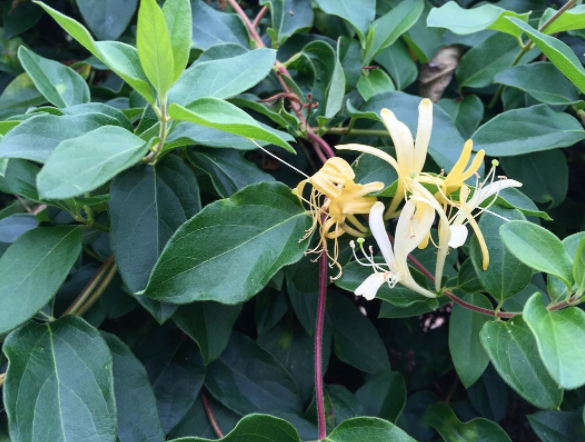 Honeysuckle flower extract is a powerful source of anti-oxidant flavanoids and saponins, making it a good anti-ager. It’s an anti-oxidant, so it helps reduce free radicals and the aging skin damage that comes with free radicals. 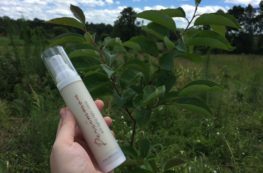 Honeysuckle extract also contains a form of salicylic acid (p-hydroxy benzoic acid of the salicylic class), which you might know from acne treatments. Salicylic acid–also known as a BHA–is a chemical exfoliator that helps prevent pores from getting clogged by correcting the abnormal shedding of cells (read more here). It has aspirin-like properties (because aspirin is made from salicylic acid), giving it anti-inflammatory properties. It can improve skin thickness, barrier functions and collagen production — that’s all good news for your skin. The next ingredient, lavender flower extract, reduces redness and inflammation – both of which will make your skin look old and over-worked. Then sage leaf and spearmint leaf extracts join the formulation. Both are high in rosmarinic acid (much more so than rosemary itself), which is a great regulator for melanin (source)—meaning it helps keep your skin tone even and keeps dark and damaged spots at bay (while fading the ones you already have). This is especially true when using spearmint leaf and sage at the same time – which we do in REWIND. Rosmarinic acid in spearmint leaf also helps alleviate signs of oxidative stress (source), and is strongly antioxidant. Overall, the carvones in spearmint leaves help reduce stress in the body, even when applied topically. Using spearmint leaf extract is just a great way to tell your body and skin to calm down. 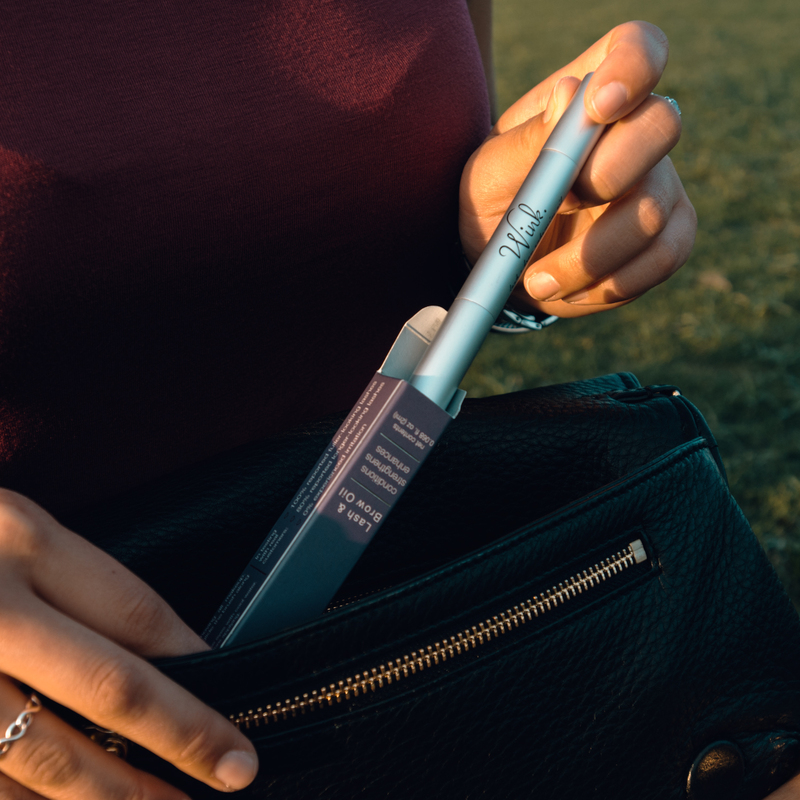 Finally, the terpenes in spearmint leaf extract are penetration enhancers, like jojoba oil and squalane, so you don’t have to worry about the active ingredients in this formulation making it deep into your skin! Seriously, that’s a big issue that us beauty bloggers look at when weighing skincare products: Will the active ingredients in this formulation even be able to penetrate the skin? So no worries, REWIND will. Rose damascena, extracted with pomegranated seed oil, round out the formulation. Rose damascena has been used for centuries in the Middle East for it’s anti-inflammatory, anti-oxidant, anti-bacterial, antitussive, hypnotic, antidiabetic, and relaxant effects. 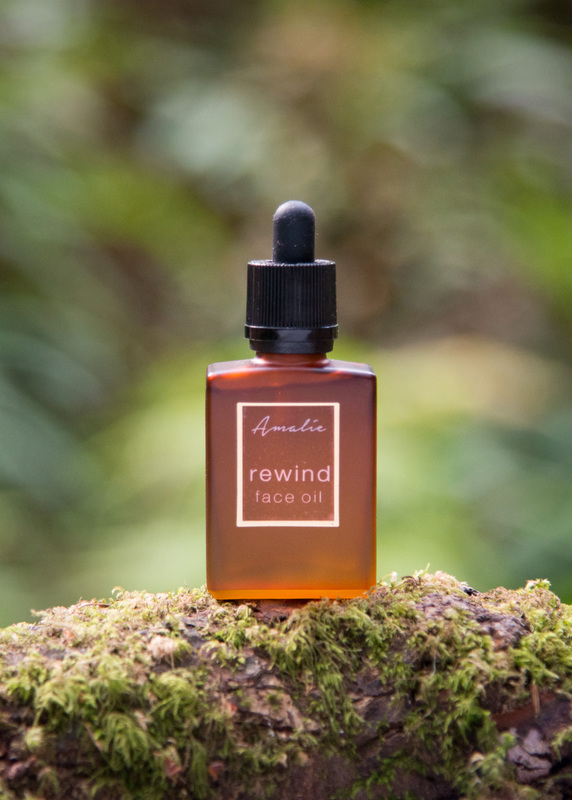 For REWIND, we just care about the first two things–reducing inflammation and protecting skin from oxidative damage due to sun exposure, pollution and other environmental factors. Additionally, rose is high in natural skin brightener and toner, vitamin C (source). The reason we extract our roses in pomegranate seed oil, was to get the highest vitamin C content, bringing the brightening aspect into the formulation, alongside the melanin regulating effects that rosmarinic acid in spearmint and sage bring. You can expect skin to be refreshed, renewed and protected from oxidative damage. Well, there’s no wrong way to use it, but I would suggest warming 3-4 drops on your fingers and gently patting into clean, treated skin (treated meaning: apply REWIND after any serums). It can be used as a standalone moisturizer or underneath your night crème (like if you were to use the Persimmon Anti-Aging Night Crème, REWIND would come first; wait 1-3 minutes, then apply the crème on top). As for how to get it, REWIND is our most popular Farm to Face offering – last year it sold out on the first day! – that’s why we brought it back, and made even more this year. Starting at Midnight EST this Friday, September 1st, you can get it here. To sign up for updates (and be alerted when it launches), join our Farm to Face updates list. And don’t forget – REWIND only comes around once a year! Don’t miss out!